The television series achieving the highest levels of success in the past decade, from Breaking Bad (2008 - 2013) to Game of Thrones (2010 - ) and House of Cards (2012 - ), all share a common denominator: dark, complex protagonists who aren't great guys. Often referred to as 'anti-heroes,' these characters give viewers the ability to explore the limits of human conduct and test the boundaries of acceptability. They are signaling a shift in the culture of television. As a medium formerly focused on family-friendly content, the anti-hero and the big-budget serialized stories they tell are helping blur the lines between television and film, and allowing for richer, more complicated material. The ante is up on television content, and as it turns out, good guys just don't seem interesting enough to fill the need. The 'flawed hero' is nothing new in concept. Hundreds of years ago Shakespeare wrote about Hamlet and Lady Macbeth, two pretty wretched stars of their own story. In the 1950s, J.D. Salinger's Holden Caulfield was the voice of an entire generation of Americans. Television explored the idea of the anti-hero as early as the 1970s (Archie Bunker wasn't a great guy), but truly blew things out of the water following the combined success of Tony Soprano, Dexter Morgan, and Walter White. Those characters managed to break the cultural mold so powerfully that every network jumped on board with anti-heroes in attempt to keep up. Does that trend suggest the rising popularity of the villain-as-star is partly due to television's proclivity for repeating something that works until it doesn't work anymore? To a degree, that may be what is going on -- but writers are now being given the opportunity to craft flawed and intriguing characters that speak to people's fears, disillusionment, and inner angst, and provide a higher form of escapism. These characters may not always be great people -- or even likable -- but they're bound to practice behaviors that regular, socially-acceptable folks wish they had the courage or ability to do. Anti-heroes fight and live outside the rules, and they stretch our moral boundaries. The hackneyed fairytale image of good thwarting evil isn't realistic, and simply doesn't interest us anymore. In the post-Tony, Dexter, and Walter White world, major television shows have more anti-heroes than heroes. Think Frank Underhill (Kevin Spacey) on House of Cards, Richie Finestra (Bobby Cannavale) on Vinyl (2016), everyone on Boardwalk Empire (2010 - 2014), Norman (Freddie Highmore) and Norma (Vera Farmiga) Bates on Bates Motel (2013 - ), most characters on American Horror Story (2011 - ), Raymond Reddington (James Spader) on The Blacklist (2013 - ), Hannibal Lecter (Mads Mikkelsen) on Hannibal (2013 - 2015), Don Draper (Jon Hamm) on Mad Men (2007- 2015), Jimmy McGill (Bob Odenkirk) on Better Call Saul (2015 - ), and the list goes on. The best stories are the ones that challenge and provoke us, and a central character who embodies those characteristics is the best vehicle for achieving that provocation. Anti-heroes allow us to explore that part of our psyche vying to pound a middle finger in everyone's face without actually doing it. They let us see someone dancing around their morals and beliefs so we don't have to do it ourselves. Anti-heroes also boast a promise of redemption. In the early seasons of Breaking Bad, we understood the motivations for Walter's actions. We rooted for his success because it was in the name of his soon-to-be-widowed wife, disabled son, and infant daughter, and it rallied agsinst a broken health care system that sends its users into poverty. 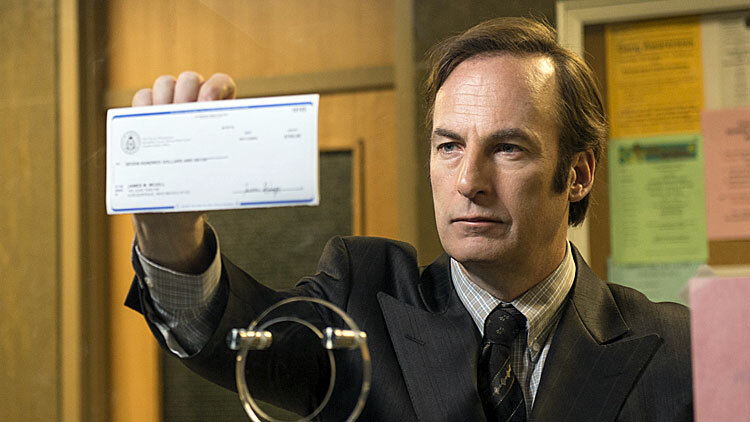 His redemption never comes; instead, it switches to Jesse, who exits the show as the only character maintaining humanity and promise after Walter descends into full-on villain. Breaking Bad was nominated for over 100 awards, won a batch of Golden Globes and Emmys, a Peabody Award, and put concrete on the notion that audiences thirst for this type of deconstruction of "good" with its leading characters. House of Cards creator Beau Willimon told the LA Times, "I don't give two thoughts to likability. Storytelling is an exploration; it's not about making statements. We have no statement. There's no agenda to the show." On a basic level, good people just aren't as interesting as bad people. Most of the real-life folks we know are good, basic people. The flawed ones rich with internal conflicts and ideological dillemmas are the ones worth crafting stories about. Flaws also open the character up to all directions of change, and change is interesting. Television's success is based on our need for change and conflict that holds our attention. People watch Jeopardy (1964 - ) because the questions change every day -- so too should an engaging character. Perhaps the most substantial truth about this brand of character is the looming reality that danger and evil may win them over. Walter White was consumed by his greed and power. 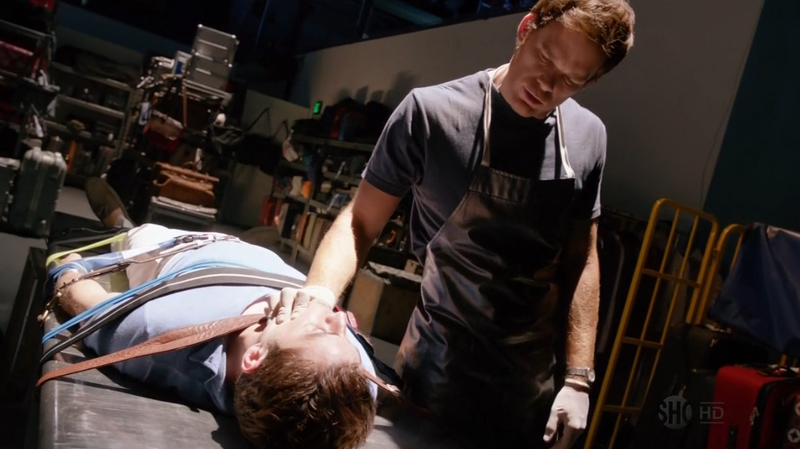 Dexter Morgan slipped from his code as the seasons progressed. 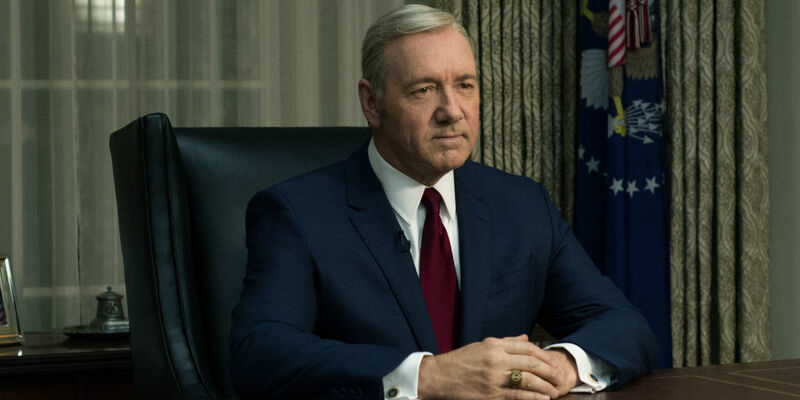 Frank Underwood is the type of guy who pushes people in front of subway trains when he believes they know too much. And in Game of Thrones, the most noble house in Westeros, The Starks, see almost nothing but destruction. Testing how low characters can fall keeps us tuning in. The Artifice writes, "Perhaps the most important factor is that these series don’t underestimate us as an audience. We can distinguish real life from fantasy, we can appreciate hard hitting and shocking story lines and we don’t need a network to decide for us whether something is too difficult to grasp. It’s almost as if these villainous protagonists are a symbol of rebellion for bored audiences. They’re a momentum of change for how stories are told to us and how we feel about characters in general. It would be easy to hate Walter White and his naked ambition for power but through gripping, interesting writing we grow to enjoy his megalomania." In other words, television audiences are done with the 'knight in shining armor' story. And for a while, many anti-heroes exists in a world where other villains still seem worse than them. Sure, Dexter was a murderous, psychotic nut, but somehow John Lithgow's Trinity character seemed worse. Walter White may have been kicking off his descent into pure villain territory while working in his multi-million dollar commercial-grade meth lab, but that Gus Fring (Giancarlo Esposito) didn't have our early support behind him. This juxtaposition, coupled with the fact we know more about "our" anti-hero than we do their nemesis, allows us to root for their treachery. All in all, the anti-hero seems here to stay. Unless television regresses and becomes more simplistic, audiences will continue to beg for the complicated, dark, inviting allure of stories about people with questionable morals.